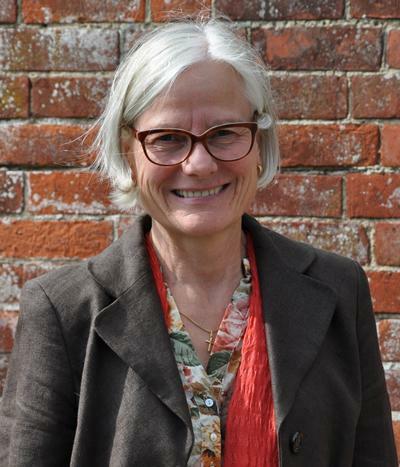 Professor Andrea Reiter is a Professor of German in Modern Languages and Linguistics at the University of Southampton. Mag. and Dr. Phil. with PhD in German Literature from the University of Salzburg. Various teaching posts at the University of Salzburg, St. Patrick's College, Maynooth (IRL) and Southampton. Current position: Professor of German in Modern Languages and Linguistics. Member of various academic societies including WIGS (IT officer 2000-4), CUTG, AMGS Österreichische Gesellschaft für Germanistik, Associate Member of the Research Group for Exile Studies (Gesellschaft für Exilforschung). Parkes Fellow in History at the University of Southampton. Holocaust and Exile literature; Post-War Austrian literature, in particular Thomas Bernhard and Ilse Aichinger; and anti-modernist movements in Austria; Post-War Jewish literature; Monika Maron; narrative theory; music and literature. I am currently engaged in preparing a new project on ‘Literature on/from the margins’. This will look at the relationship between literature and geography in Austria with a particular focus on contemporary ‘Provinzliteratur’. This genre, which was first developed in the late 1800s and early 1900s, became ideologically implicated because of its völkisch leanings and its authors’ affinity to National Socialism. In the 1970s a critical renewal of literature with a focus on province and ‘Heimat’ emerged. Simultaneously, some authors and publishers began to strategically locate the production and dissemination of literature within remote rural areas. Examples include Bibliothek der Provinz, Literatur im Nebel, Rauriser Literaturtage etc. While the cheaper venues and business premises may have been an incentive for these ventures, they have, in turn, also been welcome as a way to bring income to otherwise structurally deprived areas. In the case of the literature festivals some of this income is generated by increased seasonal tourism. My project will explore the reasons for and consequences of these phenomena. It will consider the relationship between the non-urban areas and the literature about them, which is produced, disseminated and consumed there. In doing so I will look at the power relationships between the margin and the centre (e.g. in terms of what is sometimes referred to as the ‘contested countryside’) and explore to what extent social, economic and political developments have impacted on these relationships and how these relationships have been culturally mediated. My project grows out of several research interests that I pursued in previous publications: my exploration of the relationship between centre and periphery (book on the intellectual exile Hans Sahl, 2007); and a more recent book on contemporary Jewish writers in Austria (2013), which explores the dichotomy between outsider and insider. I have also acted as co-investigator in the Schenker Documents Online project funded with a major AHRC research grant. This project has just received a further three years funding by the Austrian Science Fund.